Rough puff pastry is a cinch to make. I use half butter to flour, just like a regular shortcrust, but the method differs slightly, giving a beautifully layered, very flaky pastry. I think these pasties are better served cold than hot, which makes them perfect for wrapping in baking paper and taking along with you, wherever you may be going. On a very well floured surface, roll out the dough in one direction, away from you, to a rectangle about 1cm thick. Fold the two short ends into the middle so they overlap. Give the pastry a quarter-turn, then repeat the rolling and folding process 5 more times. Wrap the pastry in cling film, then rest it in the fridge for 1 hour. Meanwhile, make the filling. Heat the oil in a heavy-based pan over a medium heat and cook the onions with the lid on, stirring occasionally, for 10-12 minutes until they’re soft and beginning to colour around the edges. Add the 25g butter to the onions then, when melted, add the flour. Stir well and cook for a further 2-3 minutes, then add the milk, stirring – the sauce will begin to thicken. Stir in the 50g cheese and the mustard, then season with salt and pepper. Simmer gently for 2-3 minutes, then take the pan off the heat and allow to cool. Cut the haddock into 3-4cm pieces and stir it into the cooled sauce with the chopped parsley. Heat the oven to 180°C/160°C fan/gas 4. Roll out the pastry to 4-5mm thick (if it’s any thinner it may become fragile). Use a plate to cut out 4 neat 18cm rounds. Put a quarter of the smoky fish filling in the lower half of each round, allowing a margin of 2cm for the crimping. Combine the egg and extra splash of milk in a small bowl and whisk well. Brush the margin below the filling with the egg wash and fold the pastry over to encase the filling. Crimp with the edge of your fingers to make a tight seal. Repeat for the remaining 3 pastry rounds. 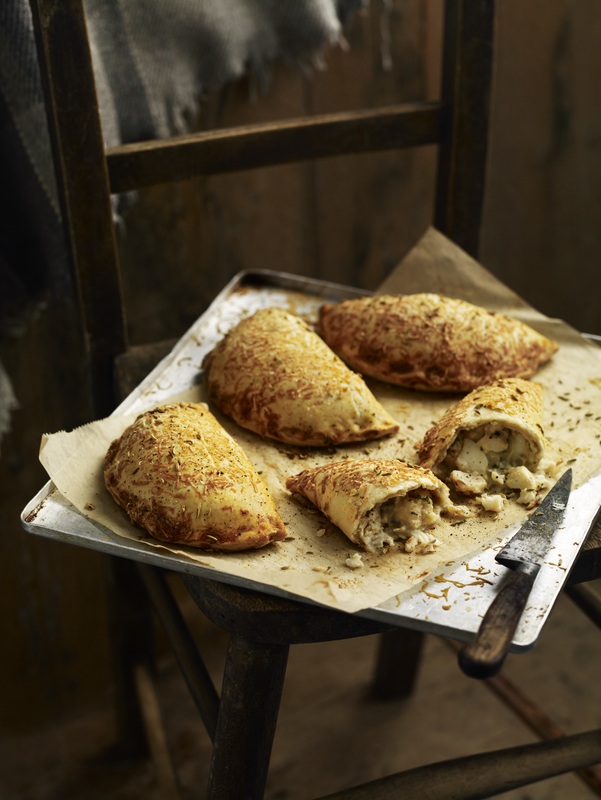 Brush the tops of the pasties with the egg wash and scatter over the finely grated cheese and fennel seeds. Finish with a twist of cracked black pepper. Line a baking sheet with non-stick baking paper. Put the pasties on the lined sheet and bake for 45-50 minutes until golden. Eat just warm or leave to cool and serve cold.